Shop Black Friday at Family Christian! It's Black Friday and Family Christian is offering a variety of doorbuster deals that you don't want to miss! 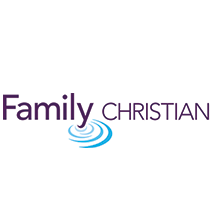 Family Christian loves carrying products that help you grow your faith and share it with others. And that's not all they love doing! They love giving back—and this giving isn't possible without YOU. You see, when you shop with Family Christian, your purchases support efforts to unite with ministries that are helping children and families in need around the U.S. and the world. Through November 28th, Family Christian is offering a variety of doorbuster deals that you don't want to miss! Click here to shop the event.